Walking as one of the ‘Big Four’ accounting giants, PwC has joined hands with cryptocurrency-backed lending startup Cred, formerly Libra Credit, to develop the newfangled dollar-backed token, a press release by the company stated Oct. 8. As part of the tie-up, PwC will leverage its archetypal accounting services to provide “100% transparency and value substantiation”—a move the company claimed will bolster trust and confidence in the cryptocurrency ecosystem. 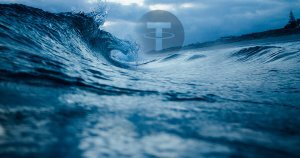 Through the tactful tones of a corporate press release, one notice Tether’s USDT, the most widely used USD stablecoin by market capitalization and daily volume, which has repeatedly ruffled feathers over solvency concerns, exchange vulnerabilities, and allegations of price manipulation. Compliance-heavy PwC would not likely be flipping through the ledgers of Tether any time soon, however, instead backing Cred, the brainchild of former PayPal executives Lu Hua and Dan Schatt. In the eyes of PwC, which services more than 100,000 businesses across 158 countries, perhaps the San Francisco-registered startup won’t be taking a laissez-faire approach to balancing the books. PwC’s commitment to the crypto community at large sends a very strong message to retail investors, mainstream financial services providers and the crypto enthusiasts that the world is moving toward decentralization, transparency and accountability in a system that will evolve beyond the need for trusted intermediaries. Indeed, PwC’s weight would presumably carry shockwaves through the wave of USD-backed stablecoin projects seen in recent months. Rubbing elbows with the likes of the fully regulated Gemini dollar and Paxos Standard, it would appear corporations are beginning to storm in on the battle to become the one world currency.